HOURS OF OPERATION: WEDNESDAY-FRIDAY: 9 a.m. - 5 p.m.
WE BUY AND SELL QUALITY CLASSIC AND HISTORIC VEHICLES (ROAD AND RACING OUR SPECIALTY). WE CAN ALSO SELL YOUR VEHICLE ON CONSIGNMENT - WE WILL PRESENT IT FOR SALE, AND ADVERTISE IT PROPERLY. LOOKING FOR A PARTICULAR MAKE AND MODEL? WE CAN FIND THE RIGHT CAR FOR YOU THROUGH OUR CONTACTS IN AUSTRALIA AND OVERSEAS. 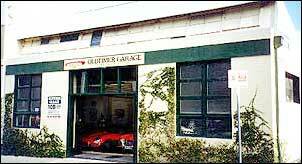 WE SPECIALISE IN HISTORIC RACING CARS OF ALL TYPES, AS WELL AS JAGUAR, FERRARI, PORSCHE, MG, TRIUMPH, TVR, MASERATI, AUDI ETC. AND WE ARE EXPERTS IN SPORTS CARS AND COUPES. PHONE TO DISCUSS YOUR NEEDS.